I just think we have enough ways to track activity. Post counts, badge totals, reputation, and even our Join Date (when taken in conjunction with post count). All that another fluffy fun thing will do is clog up more bandwidth. I'm not OPPOSED to the idea so much as I simply don't know why it is being implemented beyond "But it's fun". Anyway. That's all the more I will say, as my opinion has been put out there for consideration. Voted for RPA, btw. Love this place. I'm way ahead of you. I already voted last night and earlier today. I'm just waiting to be able to do it again. Thanks for your votes, guys! As I said before Beta, there will be more surprises coming, that tie in to the activity feature. Patience is a virtue <3 Also I think 'because it's fun' is a totally valid reason to get new stuff. Voted on the Topsites. I'll try and do a few more if I can remember. Last edited by Crazywolf; 09-23-2017 at 09:27 PM. From now on, IC posts will be worth DOUBLE points! This applies to the Arena and Persistent World sections too! OOC and IC threads in the RP sections will also be worth DOUBLE points! Participation in the main staff events (the Rumble and RPApril) will also earn you DOUBLE points, as will participation in the Monthly Writing Prompts. 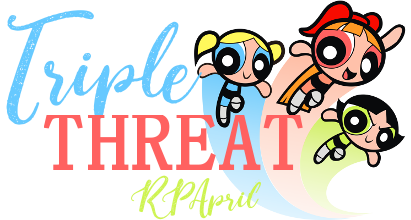 REGULAR points will be awarded for posts in rp-related sections (OOC threads, rp recruitment, etc) as well as the introductions section, member events and the creative corner. Downtown and general (not rp-related) discussions (videogames or movies section, etc) will award you HALF points. @Beta; @Crazywolf; and others who were concerned about the fairness of the feature, we hope this will help to assuage those worries. That works out pretty well, I would say. Thanks are due to the generous donor and as always to the admins working to make it all run smoothly. Oh, that is actually really neat! Makes the feature a lot more interesting. Based on the information given it does now look to be a bit more balanced. Hopefully with these alterations in place people that post more in different sections other than the downtown area won't feel overlooked.